Not to be confused with Teleconnection. Telecommunication is the transmission of signs, signals, messages, words, writings, images and sounds or information of any nature by wire, radio, optical or other electromagnetic systems. Telecommunication occurs when the exchange of information between communication participants includes the use of technology. It is transmitted either electrically over physical media, such as cables, or via electromagnetic radiation. Such transmission paths are often divided into communication channels which afford the advantages of multiplexing. Since the Latin term communicatio is considered the social process of information exchange, the term telecommunications is often used in its plural form because it involves many different technologies. Early means of communicating over a distance included visual signals, such as beacons, smoke signals, semaphore telegraphs, signal flags, and optical heliographs. Other examples of pre-modern long-distance communication included audio messages such as coded drumbeats, lung-blown horns, and loud whistles. 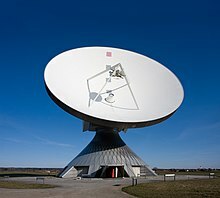 20th- and 21st-century technologies for long-distance communication usually involve electrical and electromagnetic technologies, such as telegraph, telephone, and teleprinter, networks, radio, microwave transmission, fiber optics, and communications satellites. A revolution in wireless communication began in the first decade of the 20th century with the pioneering developments in radio communications by Guglielmo Marconi, who won the Nobel Prize in Physics in 1909, and other notable pioneering inventors and developers in the field of electrical and electronic telecommunications. These included Charles Wheatstone and Samuel Morse (inventors of the telegraph), Alexander Graham Bell (inventor of the telephone), Edwin Armstrong and Lee de Forest (inventors of radio), as well as Vladimir K. Zworykin, John Logie Baird and Philo Farnsworth (some of the inventors of television). The word telecommunication is a compound of the Greek prefix tele (τηλε), meaning distant, far off, or afar, and the Latin communicare, meaning to share. Its modern use is adapted from the French, because its written use was recorded in 1904 by the French engineer and novelist Édouard Estaunié. Communication was first used as an English word in the late 14th century. It comes from Old French comunicacion (14c., Modern French communication), from Latin communicationem (nominative communicatio), noun of action from past participle stem of communicare “to share, divide out; communicate, impart, inform; join, unite, participate in”, literally “to make common”, from communis”. Homing pigeons have occasionally been used throughout history by different cultures. Pigeon post had Persian roots, and was later used by the Romans to aid their military. Frontinus said that Julius Caesar used pigeons as messengers in his conquest of Gaul. The Greeks also conveyed the names of the victors at the Olympic Games to various cities using homing pigeons. In the early 19th century, the Dutch government used the system in Java and Sumatra. And in 1849, Paul Julius Reuter started a pigeon service to fly stock prices between Aachen and Brussels, a service that operated for a year until the gap in the telegraph link was closed. In the Middle Ages, chains of beacons were commonly used on hilltops as a means of relaying a signal. Beacon chains suffered the drawback that they could only pass a single bit of information, so the meaning of the message such as “the enemy has been sighted” had to be agreed upon in advance. One notable instance of their use was during the Spanish Armada, when a beacon chain relayed a signal from Plymouth to London. 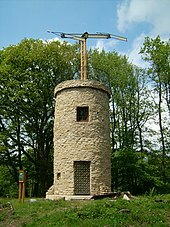 In 1792, Claude Chappe, a French engineer, built the first fixed visual telegraphy system (or semaphore line) between Lille and Paris. However semaphore suffered from the need for skilled operators and expensive towers at intervals of ten to thirty kilometres (six to nineteen miles). As a result of competition from the electrical telegraph, the last commercial line was abandoned in 1880. On 25 July 1837 the first commercial electrical telegraph was demonstrated by English inventor Sir William Fothergill Cooke, and English scientist Sir Charles Wheatstone. Both inventors viewed their device as “an improvement to the [existing] electromagnetic telegraph” not as a new device. Samuel Morse independently developed a version of the electrical telegraph that he unsuccessfully demonstrated on 2 September 1837. His code was an important advance over Wheatstone’s signaling method. The first transatlantic telegraph cable was successfully completed on 27 July 1866, allowing transatlantic telecommunication for the first time. The conventional telephone was invented independently by Alexander Bell and Elisha Gray in 1876. Antonio Meucci invented the first device that allowed the electrical transmission of voice over a line in 1849. However Meucci’s device was of little practical value because it relied upon the electrophonic effect and thus required users to place the receiver in their mouth to “hear” what was being said. The first commercial telephone services were set-up in 1878 and 1879 on both sides of the Atlantic in the cities of New Haven and London. Starting in 1894, Italian inventor Guglielmo Marconi began developing a wireless communication using the then newly discovered phenomenon of radio waves, showing by 1901 that they could be transmitted across the Atlantic Ocean. This was the start of wireless telegraphy by radio. Voice and music were demonstrated in 1900 and 1906, but had little early success. World War I accelerated the development of radio for military communications. After the war, commercial radio AM broadcasting began in the 1920s and became an important mass medium for entertainment and news. World War II again accelerated development of radio for the wartime purposes of aircraft and land communication, radio navigation and radar. Development of stereo FM broadcasting of radio took place from the 1930s on-wards in the United States and displaced AM as the dominant commercial standard by the 1960s, and by the 1970s in the United Kingdom. On 25 March 1925, John Logie Baird was able to demonstrate the transmission of moving pictures at the London department store Selfridges. Baird’s device relied upon the Nipkow disk and thus became known as the mechanical television. It formed the basis of experimental broadcasts done by the British Broadcasting Corporation beginning 30 September 1929. However, for most of the twentieth century televisions depended upon the cathode ray tube invented by Karl Braun. The first version of such a television to show promise was produced by Philo Farnsworth and demonstrated to his family on 7 September 1927. After World War II, the experiments in television that had been interrupted were resumed, and it also became an important home entertainment broadcast medium. Realization and demonstration, on October 29, 2001, of the first digital cinema transmission by satellite in Europe of a feature film by Bernard Pauchon, Alain Lorentz, Raymond Melwig and Philippe Binant. On 11 September 1940, George Stibitz transmitted problems for his Complex Number Calculator in New York using a teletype, and received the computed results back at Dartmouth College in New Hampshire. This configuration of a centralized computer (mainframe) with remote dumb terminals remained popular well into the 1970s. However, already in the 1960s, researchers started to investigate packet switching, a technology that sends a message in portions to its destination asynchronously without passing it through a centralized mainframe. 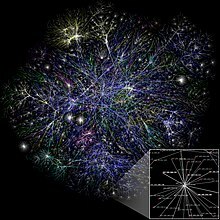 A four-node network emerged on 5 December 1969, constituting the beginnings of the ARPANET, which by 1981 had grown to 213 nodes. ARPANET eventually merged with other networks to form the Internet. While Internet development was a focus of the Internet Engineering Task Force (IETF) who published a series of Request for Comment documents, other networking advancement occurred in industrial laboratories, such as the local area network (LAN) developments of Ethernet (1983) and the token ring protocol (1984). Modern telecommunication is founded on a series of key concepts that experienced progressive development and refinement in a period of well over a century. A transmitter that takes information and converts it to a signal. A transmission medium, also called the physical channel that carries the signal. An example of this is the “free space channel”. A receiver that takes the signal from the channel and converts it back into usable information for the recipient. For example, in a radio broadcasting station the station’s large power amplifier is the transmitter; and the broadcasting antenna is the interface between the power amplifier and the “free space channel”. The free space channel is the transmission medium; and the receiver’s antenna is the interface between the free space channel and the receiver. Next, the radio receiver is the destination of the radio signal, and this is where it is converted from electricity to sound for people to listen to. Sometimes, telecommunication systems are “duplex” (two-way systems) with a single box of electronics working as both the transmitter and a receiver, or a transceiver. For example, a cellular telephone is a transceiver. The transmission electronics and the receiver electronics within a transceiver are actually quite independent of each other. This can be readily explained by the fact that radio transmitters contain power amplifiers that operate with electrical powers measured in watts or kilowatts, but radio receivers deal with radio powers that are measured in the microwatts or nanowatts. Hence, transceivers have to be carefully designed and built to isolate their high-power circuitry and their low-power circuitry from each other, as to not cause interference. Telecommunication over fixed lines is called point-to-point communication because it is between one transmitter and one receiver. Telecommunication through radio broadcasts is called broadcast communication because it is between one powerful transmitter and numerous low-power but sensitive radio receivers. Telecommunications in which multiple transmitters and multiple receivers have been designed to cooperate and to share the same physical channel are called multiplex systems. The sharing of physical channels using multiplexing often gives very large reductions in costs. Multiplexed systems are laid out in telecommunication networks, and the multiplexed signals are switched at nodes through to the correct destination terminal receiver. Communications signals can be sent either by analog signals or digital signals. There are analog communication systems and digital communication systems. For an analog signal, the signal is varied continuously with respect to the information. In a digital signal, the information is encoded as a set of discrete values (for example, a set of ones and zeros). During the propagation and reception, the information contained in analog signals will inevitably be degraded by undesirable physical noise. (The output of a transmitter is noise-free for all practical purposes.) Commonly, the noise in a communication system can be expressed as adding or subtracting from the desirable signal in a completely random way. This form of noise is called additive noise, with the understanding that the noise can be negative or positive at different instants of time. Noise that is not additive noise is a much more difficult situation to describe or analyze, and these other kinds of noise will be omitted here. On the other hand, unless the additive noise disturbance exceeds a certain threshold, the information contained in digital signals will remain intact. Their resistance to noise represents a key advantage of digital signals over analog signals. A telecommunications network is a collection of transmitters, receivers, and communications channels that send messages to one another. Some digital communications networks contain one or more routers that work together to transmit information to the correct user. An analog communications network consists of one or more switches that establish a connection between two or more users. For both types of network, repeaters may be necessary to amplify or recreate the signal when it is being transmitted over long distances. This is to combat attenuation that can render the signal indistinguishable from the noise. Another advantage of digital systems over analog is that their output is easier to store in memory, i.e. two voltage states (high and low) are easier to store than a continuous range of states. The term “channel” has two different meanings. In one meaning, a channel is the physical medium that carries a signal between the transmitter and the receiver. Examples of this include the atmosphere for sound communications, glass optical fibers for some kinds of optical communications, coaxial cables for communications by way of the voltages and electric currents in them, and free space for communications using visible light, infrared waves, ultraviolet light, and radio waves. Coaxial cable types are classified by RG type or “radio guide”, terminology derived from World War II. The various RG designations are used to classify the specific signal transmission applications. This last channel is called the “free space channel”. The sending of radio waves from one place to another has nothing to do with the presence or absence of an atmosphere between the two. Radio waves travel through a perfect vacuum just as easily as they travel through air, fog, clouds, or any other kind of gas. The other meaning of the term “channel” in telecommunications is seen in the phrase communications channel, which is a subdivision of a transmission medium so that it can be used to send multiple streams of information simultaneously. For example, one radio station can broadcast radio waves into free space at frequencies in the neighborhood of 94.5 MHz (megahertz) while another radio station can simultaneously broadcast radio waves at frequencies in the neighborhood of 96.1 MHz. Each radio station would transmit radio waves over a frequency bandwidth of about 180 kHz (kilohertz), centered at frequencies such as the above, which are called the “carrier frequencies”. Each station in this example is separated from its adjacent stations by 200 kHz, and the difference between 200 kHz and 180 kHz (20 kHz) is an engineering allowance for the imperfections in the communication system. In the example above, the “free space channel” has been divided into communications channels according to frequencies, and each channel is assigned a separate frequency bandwidth in which to broadcast radio waves. This system of dividing the medium into channels according to frequency is called “frequency-division multiplexing“. Another term for the same concept is “wavelength-division multiplexing“, which is more commonly used in optical communications when multiple transmitters share the same physical medium. Another way of dividing a communications medium into channels is to allocate each sender a recurring segment of time (a “time slot”, for example, 20 milliseconds out of each second), and to allow each sender to send messages only within its own time slot. This method of dividing the medium into communication channels is called “time-division multiplexing” (TDM), and is used in optical fiber communication. Some radio communication systems use TDM within an allocated FDM channel. Hence, these systems use a hybrid of TDM and FDM. The shaping of a signal to convey information is known as modulation. Modulation can be used to represent a digital message as an analog waveform. This is commonly called “keying”—a term derived from the older use of Morse Code in telecommunications—and several keying techniques exist (these include phase-shift keying, frequency-shift keying, and amplitude-shift keying). The “Bluetooth” system, for example, uses phase-shift keying to exchange information between various devices. In addition, there are combinations of phase-shift keying and amplitude-shift keying which is called (in the jargon of the field) “quadrature amplitude modulation” (QAM) that are used in high-capacity digital radio communication systems. Modulation can also be used to transmit the information of low-frequency analog signals at higher frequencies. This is helpful because low-frequency analog signals cannot be effectively transmitted over free space. Hence the information from a low-frequency analog signal must be impressed into a higher-frequency signal (known as the “carrier wave“) before transmission. There are several different modulation schemes available to achieve this [two of the most basic being amplitude modulation (AM) and frequency modulation (FM)]. An example of this process is a disc jockey’s voice being impressed into a 96 MHz carrier wave using frequency modulation (the voice would then be received on a radio as the channel “96 FM”). In addition, modulation has the advantage that it may use frequency division multiplexing (FDM). Telecommunication has a significant social, cultural and economic impact on modern society. In 2008, estimates placed the telecommunication industry‘s revenue at $4.7 trillion or just under 3 percent of the gross world product (official exchange rate). Several following sections discuss the impact of telecommunication on society. On the microeconomic scale, companies have used telecommunications to help build global business empires. This is self-evident in the case of online retailer Amazon.com but, according to academic Edward Lenert, even the conventional retailer Walmart has benefited from better telecommunication infrastructure compared to its competitors. In cities throughout the world, home owners use their telephones to order and arrange a variety of home services ranging from pizza deliveries to electricians. Even relatively poor communities have been noted to use telecommunication to their advantage. In Bangladesh‘s Narshingdi district, isolated villagers use cellular phones to speak directly to wholesalers and arrange a better price for their goods. In Côte d’Ivoire, coffee growers share mobile phones to follow hourly variations in coffee prices and sell at the best price. On the macroeconomic scale, Lars-Hendrik Röller and Leonard Waverman suggested a causal link between good telecommunication infrastructure and economic growth. Few dispute the existence of a correlation although some argue it is wrong to view the relationship as causal. Because of the economic benefits of good telecommunication infrastructure, there is increasing worry about the inequitable access to telecommunication services amongst various countries of the world—this is known as the digital divide. A 2003 survey by the International Telecommunication Union (ITU) revealed that roughly a third of countries have fewer than one mobile subscription for every 20 people and one-third of countries have fewer than one land-line telephone subscription for every 20 people. In terms of Internet access, roughly half of all countries have fewer than one out of 20 people with Internet access. From this information, as well as educational data, the ITU was able to compile an index that measures the overall ability of citizens to access and use information and communication technologies. Using this measure, Sweden, Denmark and Iceland received the highest ranking while the African countries Nigeria, Burkina Faso and Mali received the lowest. Telecommunication has played a significant role in social relationships. Nevertheless, devices like the telephone system were originally advertised with an emphasis on the practical dimensions of the device (such as the ability to conduct business or order home services) as opposed to the social dimensions. It was not until the late 1920s and 1930s that the social dimensions of the device became a prominent theme in telephone advertisements. New promotions started appealing to consumers’ emotions, stressing the importance of social conversations and staying connected to family and friends. Since then the role that telecommunications has played in social relations has become increasingly important. In recent years, the popularity of social networking sites has increased dramatically. These sites allow users to communicate with each other as well as post photographs, events and profiles for others to see. The profiles can list a person’s age, interests, sexual preference and relationship status. In this way, these sites can play important role in everything from organising social engagements to courtship. Prior to social networking sites, technologies like short message service (SMS) and the telephone also had a significant impact on social interactions. In 2000, market research group Ipsos MORI reported that 81% of 15- to 24-year-old SMS users in the United Kingdom had used the service to coordinate social arrangements and 42% to flirt. News source preference of Americans in 2006. In cultural terms, telecommunication has increased the public’s ability to access music and film. With television, people can watch films they have not seen before in their own home without having to travel to the video store or cinema. With radio and the Internet, people can listen to music they have not heard before without having to travel to the music store. Telecommunication has also transformed the way people receive their news. A 2006 survey (right table) of slightly more than 3,000 Americans by the non-profit Pew Internet and American Life Project in the United States the majority specified television or radio over newspapers. Telecommunication has had an equally significant impact on advertising. TNS Media Intelligence reported that in 2007, 58% of advertising expenditure in the United States was spent on media that depend upon telecommunication. Many countries have enacted legislation which conforms to the International Telecommunication Regulations established by the International Telecommunication Union (ITU), which is the “leading UN agency for information and communication technology issues”. In 1947, at the Atlantic City Conference, the ITU decided to “afford international protection to all frequencies registered in a new international frequency list and used in conformity with the Radio Regulation”. According to the ITU’s Radio Regulations adopted in Atlantic City, all frequencies referenced in the International Frequency Registration Board, examined by the board and registered on the International Frequency List “shall have the right to international protection from harmful interference”. From a global perspective, there have been political debates and legislation regarding the management of telecommunication and broadcasting. The history of broadcasting discusses some debates in relation to balancing conventional communication such as printing and telecommunication such as radio broadcasting. The onset of World War II brought on the first explosion of international broadcasting propaganda. Countries, their governments, insurgents, terrorists, and militiamen have all used telecommunication and broadcasting techniques to promote propaganda. Patriotic propaganda for political movements and colonization started the mid-1930s. In 1936, the BBC broadcast propaganda to the Arab World to partly counter similar broadcasts from Italy, which also had colonial interests in North Africa. On 10 November 2014, President Obama recommended the Federal Communications Commission reclassify broadband Internet service as a telecommunications service to preserve net neutrality. Optical fiber provides cheaper bandwidth for long distance communication. In a telephone network, the caller is connected to the person they want to talk to by switches at various telephone exchanges. The switches form an electrical connection between the two users and the setting of these switches is determined electronically when the caller dials the number. Once the connection is made, the caller’s voice is transformed to an electrical signal using a small microphone in the caller’s handset. This electrical signal is then sent through the network to the user at the other end where it is transformed back into sound by a small speaker in that person’s handset. As of 2015, the landline telephones in most residential homes are analog—that is, the speaker’s voice directly determines the signal’s voltage. Although short-distance calls may be handled from end-to-end as analog signals, increasingly telephone service providers are transparently converting the signals to digital signals for transmission. The advantage of this is that digitized voice data can travel side-by-side with data from the Internet and can be perfectly reproduced in long distance communication (as opposed to analog signals that are inevitably impacted by noise). Mobile phones have had a significant impact on telephone networks. Mobile phone subscriptions now outnumber fixed-line subscriptions in many markets. Sales of mobile phones in 2005 totalled 816.6 million with that figure being almost equally shared amongst the markets of Asia/Pacific (204 m), Western Europe (164 m), CEMEA (Central Europe, the Middle East and Africa) (153.5 m), North America (148 m) and Latin America (102 m). In terms of new subscriptions over the five years from 1999, Africa has outpaced other markets with 58.2% growth. Increasingly these phones are being serviced by systems where the voice content is transmitted digitally such as GSM or W-CDMA with many markets choosing to deprecate analog systems such as AMPS. There have also been dramatic changes in telephone communication behind the scenes. Starting with the operation of TAT-8 in 1988, the 1990s saw the widespread adoption of systems based on optical fibers. 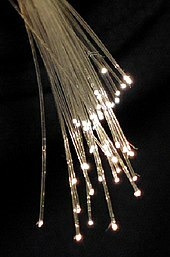 The benefit of communicating with optic fibers is that they offer a drastic increase in data capacity. TAT-8 itself was able to carry 10 times as many telephone calls as the last copper cable laid at that time and today’s optic fibre cables are able to carry 25 times as many telephone calls as TAT-8. This increase in data capacity is due to several factors: First, optic fibres are physically much smaller than competing technologies. Second, they do not suffer from crosstalk which means several hundred of them can be easily bundled together in a single cable. Lastly, improvements in multiplexing have led to an exponential growth in the data capacity of a single fibre. Assisting communication across many modern optic fibre networks is a protocol known as Asynchronous Transfer Mode (ATM). The ATM protocol allows for the side-by-side data transmission mentioned in the second paragraph. It is suitable for public telephone networks because it establishes a pathway for data through the network and associates a traffic contract with that pathway. The traffic contract is essentially an agreement between the client and the network about how the network is to handle the data; if the network cannot meet the conditions of the traffic contract it does not accept the connection. This is important because telephone calls can negotiate a contract so as to guarantee themselves a constant bit rate, something that will ensure a caller’s voice is not delayed in parts or cut off completely. There are competitors to ATM, such as Multiprotocol Label Switching (MPLS), that perform a similar task and are expected to supplant ATM in the future. In a broadcast system, the central high-powered broadcast tower transmits a high-frequency electromagnetic wave to numerous low-powered receivers. The high-frequency wave sent by the tower is modulated with a signal containing visual or audio information. The receiver is then tuned so as to pick up the high-frequency wave and a demodulator is used to retrieve the signal containing the visual or audio information. The broadcast signal can be either analog (signal is varied continuously with respect to the information) or digital (information is encoded as a set of discrete values). The broadcast media industry is at a critical turning point in its development, with many countries moving from analog to digital broadcasts. This move is made possible by the production of cheaper, faster and more capable integrated circuits. The chief advantage of digital broadcasts is that they prevent a number of complaints common to traditional analog broadcasts. For television, this includes the elimination of problems such as snowy pictures, ghosting and other distortion. These occur because of the nature of analog transmission, which means that perturbations due to noise will be evident in the final output. Digital transmission overcomes this problem because digital signals are reduced to discrete values upon reception and hence small perturbations do not affect the final output. In a simplified example, if a binary message 1011 was transmitted with signal amplitudes [1.0 0.0 1.0 1.0] and received with signal amplitudes [0.9 0.2 1.1 0.9] it would still decode to the binary message 1011— a perfect reproduction of what was sent. From this example, a problem with digital transmissions can also be seen in that if the noise is great enough it can significantly alter the decoded message. Using forward error correction a receiver can correct a handful of bit errors in the resulting message but too much noise will lead to incomprehensible output and hence a breakdown of the transmission. In digital television broadcasting, there are three competing standards that are likely to be adopted worldwide. These are the ATSC, DVB and ISDB standards; the adoption of these standards thus far is presented in the captioned map. All three standards use MPEG-2 for video compression. ATSC uses Dolby Digital AC-3 for audio compression, ISDB uses Advanced Audio Coding (MPEG-2 Part 7) and DVB has no standard for audio compression but typically uses MPEG-1 Part 3 Layer 2. The choice of modulation also varies between the schemes. In digital audio broadcasting, standards are much more unified with practically all countries choosing to adopt the Digital Audio Broadcasting standard (also known as the Eureka 147 standard). The exception is the United States which has chosen to adopt HD Radio. HD Radio, unlike Eureka 147, is based upon a transmission method known as in-band on-channel transmission that allows digital information to “piggyback” on normal AM or FM analog transmissions. However, despite the pending switch to digital, analog television remains being transmitted in most countries. An exception is the United States that ended analog television transmission (by all but the very low-power TV stations) on 12 June 2009 after twice delaying the switchover deadline. Kenya also ended analog television transmission in December 2014 after multiple delays. For analog television, there were three standards in use for broadcasting color TV (see a map on adoption here). These are known as PAL (German designed), NTSC (American designed), and SECAM (French designed). For analog radio, the switch to digital radio is made more difficult by the higher cost of digital receivers. The choice of modulation for analog radio is typically between amplitude (AM) or frequency modulation (FM). To achieve stereo playback, an amplitude modulated subcarrier is used for stereo FM, and quadrature amplitude modulation is used for stereo AM or C-QUAM. The Internet is a worldwide network of computers and computer networks that communicate with each other using the Internet Protocol (IP). Any computer on the Internet has a unique IP address that can be used by other computers to route information to it. Hence, any computer on the Internet can send a message to any other computer using its IP address. These messages carry with them the originating computer’s IP address allowing for two-way communication. The Internet is thus an exchange of messages between computers. It is estimated that 51% of the information flowing through two-way telecommunications networks in the year 2000 were flowing through the Internet (most of the rest (42%) through the landline telephone). By the year 2007 the Internet clearly dominated and captured 97% of all the information in telecommunication networks (most of the rest (2%) through mobile phones). As of 2008, an estimated 21.9% of the world population has access to the Internet with the highest access rates (measured as a percentage of the population) in North America (73.6%), Oceania/Australia (59.5%) and Europe (48.1%). In terms of broadband access, Iceland (26.7%), South Korea (25.4%) and the Netherlands (25.3%) led the world. The Internet works in part because of protocols that govern how the computers and routers communicate with each other. The nature of computer network communication lends itself to a layered approach where individual protocols in the protocol stack run more-or-less independently of other protocols. This allows lower-level protocols to be customized for the network situation while not changing the way higher-level protocols operate. A practical example of why this is important is because it allows an Internet browser to run the same code regardless of whether the computer it is running on is connected to the Internet through an Ethernet or Wi-Fi connection. Protocols are often talked about in terms of their place in the OSI reference model (pictured on the right), which emerged in 1983 as the first step in an unsuccessful attempt to build a universally adopted networking protocol suite. For the Internet, the physical medium and data link protocol can vary several times as packets traverse the globe. This is because the Internet places no constraints on what physical medium or data link protocol is used. This leads to the adoption of media and protocols that best suit the local network situation. In practice, most intercontinental communication will use the Asynchronous Transfer Mode (ATM) protocol (or a modern equivalent) on top of optic fiber. This is because for most intercontinental communication the Internet shares the same infrastructure as the public switched telephone network. At the network layer, things become standardized with the Internet Protocol (IP) being adopted for logical addressing. For the World Wide Web, these “IP addresses” are derived from the human readable form using the Domain Name System (e.g. 72.14.207.99 is derived from www.google.com). At the moment, the most widely used version of the Internet Protocol is version four but a move to version six is imminent. At the transport layer, most communication adopts either the Transmission Control Protocol (TCP) or the User Datagram Protocol (UDP). TCP is used when it is essential every message sent is received by the other computer whereas UDP is used when it is merely desirable. With TCP, packets are retransmitted if they are lost and placed in order before they are presented to higher layers. With UDP, packets are not ordered or retransmitted if lost. Both TCP and UDP packets carry port numbers with them to specify what application or process the packet should be handled by. Because certain application-level protocols use certain ports, network administrators can manipulate traffic to suit particular requirements. Examples are to restrict Internet access by blocking the traffic destined for a particular port or to affect the performance of certain applications by assigning priority. Above the transport layer, there are certain protocols that are sometimes used and loosely fit in the session and presentation layers, most notably the Secure Sockets Layer (SSL) and Transport Layer Security (TLS) protocols. These protocols ensure that data transferred between two parties remains completely confidential. Finally, at the application layer, are many of the protocols Internet users would be familiar with such as HTTP (web browsing), POP3 (e-mail), FTP (file transfer), IRC (Internet chat), BitTorrent (file sharing) and XMPP (instant messaging). Voice over Internet Protocol (VoIP) allows data packets to be used for synchronous voice communications. The data packets are marked as voice type packets and can be prioritized by the network administrators so that the real-time, synchronous conversation is less subject to contention with other types of data traffic which can be delayed (i.e. file transfer or email) or buffered in advance (i.e. audio and video) without detriment. That prioritization is fine when the network has sufficient capacity for all the VoIP calls taking place at the same time and the network is enabled for prioritization i.e. a private corporate style network, but the Internet is not generally managed in this way and so there can be a big difference in the quality of VoIP calls over a private network and over the public Internet. Despite the growth of the Internet, the characteristics of local area networks (LANs)—computer networks that do not extend beyond a few kilometers—remain distinct. This is because networks on this scale do not require all the features associated with larger networks and are often more cost-effective and efficient without them. When they are not connected with the Internet, they also have the advantages of privacy and security. However, purposefully lacking a direct connection to the Internet does not provide assured protection from hackers, military forces, or economic powers. These threats exist if there are any methods for connecting remotely to the LAN. Wide area networks (WANs) are private computer networks that may extend for thousands of kilometers. Once again, some of their advantages include privacy and security. Prime users of private LANs and WANs include armed forces and intelligence agencies that must keep their information secure and secret. In the mid-1980s, several sets of communication protocols emerged to fill the gaps between the data-link layer and the application layer of the OSI reference model. These included Appletalk, IPX, and NetBIOS with the dominant protocol set during the early 1990s being IPX due to its popularity with MS-DOS users. TCP/IP existed at this point, but it was typically only used by large government and research facilities. As the Internet grew in popularity and its traffic was required to be routed into private networks, the TCP/IP protocols replaced existing local area network technologies. Additional technologies, such as DHCP, allowed TCP/IP-based computers to self-configure in the network. Such functions also existed in the AppleTalk/ IPX/ NetBIOS protocol sets. Whereas Asynchronous Transfer Mode (ATM) or Multiprotocol Label Switching (MPLS) are typical data-link protocols for larger networks such as WANs; Ethernet and Token Ring are typical data-link protocols for LANs. These protocols differ from the former protocols in that they are simpler, e.g., they omit features such as quality of service guarantees, and offer collision prevention. Both of these differences allow for more economical systems. Despite the modest popularity of IBM Token Ring in the 1980s and 1990s, virtually all LANs now use either wired or wireless Ethernet facilities. At the physical layer, most wired Ethernet implementations use copper twisted-pair cables (including the common 10BASE-T networks). However, some early implementations used heavier coaxial cables and some recent implementations (especially high-speed ones) use optical fibers. When optic fibers are used, the distinction must be made between multimode fibers and single-mode fibers. Multimode fibers can be thought of as thicker optical fibers that are cheaper to manufacture devices for, but that suffers from less usable bandwidth and worse attenuation—implying poorer long-distance performance. The effective capacity to exchange information worldwide through two-way telecommunication networks grew from 281 petabytes of (optimally compressed) information in 1986, to 471 petabytes in 1993, to 2.2 (optimally compressed) exabytes in 2000, and to 65 (optimally compressed) exabytes in 2007. This is the informational equivalent of two newspaper pages per person per day in 1986, and six entire newspapers per person per day by 2007. Given this growth, telecommunications play an increasingly important role in the world economy and the global telecommunications industry was about a $4.7 trillion sector in 2012. The service revenue of the global telecommunications industry was estimated to be $1.5 trillion in 2010, corresponding to 2.4% of the world’s gross domestic product (GDP). ^ “Definition of telecommunication”. Yahoo. Archived from the original on 1 May 2013. Retrieved 28 February 2013. ^ “Telecommunication”. Collins English Dictionary. Retrieved 28 February 2013. ^ “Telecommunication”. Vocabulary.com. Retrieved 28 February 2013. ^ “Telecommunication”. Merriam-Webster Dictionary. Retrieved 28 February 2013. ^ a b “Telecommunication”. Oxford Dictionaries. Oxford University Press. Retrieved 28 February 2013. ^ “Telecommunication”. Dictionary.com. Retrieved 28 February 2013. ^ Huurdeman, Anton A. (31 July 2003). The Worldwide History of Telecommunications. John Wiley & Sons. ISBN 978-0-471-20505-0. ^ Websters definition: “2) technology that deals with telecommunication—usually used in plural”; Concise Encyclopedia definition: “Communication n parties at a distance from one another….”; and the Online Etymology Dictionary: “telecommunication (n.) 1932, from French télécommunication (see tele- + communication).”; and: ” 1930s: from French télécommunication, from télé- ‘at a distance’ + communication ‘communication‘“, Oxford online. ^ Jean-Marie Dilhac, From tele-communicare to Telecommunications, 2004. ^ Telecommunication, tele- and communication, New Oxford American Dictionary (2nd edition), 2005. ^ Levi, Wendell (1977). The Pigeon. Sumter, SC: Levi Publishing Co, Inc. ISBN 978-0-85390-013-9. ^ Blechman, Andrew (2007). Pigeons-The fascinating saga of the world’s most revered and reviled bird. St Lucia, Queensland: University of Queensland Press. ISBN 978-0-7022-3641-9. Archived from the original on 14 May 2008. ^ “Chronology: Reuters, from pigeons to multimedia merger” (Web article). Reuters. 19 February 2008. Retrieved 21 February 2008. ^ David Ross, The Spanish Armada, Britain Express, accessed October 2007. ^ Les Télégraphes Chappe, Cédrick Chatenet, l’Ecole Centrale de Lyon, 2003. ^ William Brockedone. “Cooke and Wheatstone and the Invention of the Electric Telegraph”. Republished by The Museum of Science and Technology (Ottawa). ^ “Who made the first electric telegraph communications?”. The Telegraph. Retrieved 7 August 2017. ^ The Electromagnetic Telegraph, J. B. Calvert, 19 May 2004. ^ Elisha Gray, Oberlin College Archives, Electronic Oberlin Group, 2006. ^ Connected Earth: The telephone Archived 22 August 2006 at the Wayback Machine, BT, 2006. ^ History of AT&T, AT&T, 2006. ^ Tesla Biography, Ljubo Vujovic, Tesla Memorial Society of New York, 1998. ^ Thompson, Jr., R.J. (2011). Crystal Clear: The Struggle for Reliable Communications Technology in World War II, Hoboken, NJ: Wiley. ^ Théberge, P., Devine, K. & Everrett, T. (2015). Living Stereo: Histories and Cultures of Multichannel Sound. New York: Bloomsbury Publishing. ^ The Pioneers Archived 14 May 2013 at the Wayback Machine, MZTV Museum of Television, 2006. ^ France Télécom, Commission Supérieure Technique de l’Image et du Son, Communiqué de presse, Paris, October 29th, 2001. ^ «Numérique : le cinéma en mutation», Projections, 13, CNC, Paris, September 2004, p. 7. ^ Olivier Bomsel, Gilles Le Blanc, Dernier tango argentique. Le cinéma face à la numérisation, Ecole des Mines de Paris, 2002, p. 12. ^ Bernard Pauchon, France Telecom and digital cinema, ShowEast, 2001, p. 10. ^ Alexandru Georgescu (et al. ), Critical Space Infrastructures. Risk, Resilience and Complexity, Springer, 2019, p. 48. ^ Première numérique pour le cinéma français, 01net, 2002. ^ George Stibitz, Kerry Redshaw, 1996. ^ Hafner, Katie (1998). Where Wizards Stay Up Late: The Origins Of The Internet. Simon & Schuster. ISBN 978-0-684-83267-8. ^ a b c Haykin, Simon (2001). Communication Systems (4th ed.). John Wiley & Sons. pp. 1–3. ISBN 978-0-471-17869-9. ^ Ambardar, Ashok (1999). Analog and Digital Signal Processing (2nd ed.). Brooks/Cole Publishing Company. pp. 1–2. ISBN 978-0-534-95409-3. ^ ATIS Telecom Glossary 2000 Archived 2 March 2008 at the Wayback Machine, ATIS Committee T1A1 Performance and Signal Processing (approved by the American National Standards Institute), 28 February 2001. ^ “Coax Cable FAQ Series: What is RG Cable? – Conwire”. Conwire. 12 January 2016. Retrieved 7 August 2017. ^ Bluetooth Specification Version 2.0 + EDR (p. 27), Bluetooth, 2004. ^ a b c Worldwide Telecommunications Industry Revenues Archived 28 March 2010 at the Wayback Machine, Internet Engineering Task Force, June 2010. ^ Lenert, Edward (December 1998). “A Communication Theory Perspective on Telecommunications Policy”. Journal of Communication. 48 (4): 3–23. doi:10.1111/j.1460-2466.1998.tb02767.x. ^ Mireille Samaan (April 2003). “The Effect of Income Inequality on Mobile Phone Penetration”. Boston University Honors thesis. Archived from the original (PDF) on 14 February 2007. Retrieved 8 June 2007. ^ Röller, Lars-Hendrik; Leonard Waverman (2001). “Telecommunications Infrastructure and Economic Development: A Simultaneous Approach”. American Economic Review. 91 (4): 909–23. CiteSeerX 10.1.1.202.9393. doi:10.1257/aer.91.4.909. ISSN 0002-8282. ^ Christine Zhen-Wei Qiang and Carlo M. Rossotto with Kaoru Kimura. “Economic Impacts of Broadband” (PDF). siteresources.worldbank.org. ^ Riaz, Ali (1997). “The role of telecommunications in economic growth: proposal for an alternative framework of analysis”. Media, Culture & Society. 19 (4): 557–83. doi:10.1177/016344397019004004. ^ “Digital Access Index (DAI)”. itu.int. Retrieved 6 March 2008. ^ World Telecommunication Development Report 2003, International Telecommunication Union, 2003. ^ Fischer, Claude S. “‘Touch Someone’: The Telephone Industry Discovers Sociability.” Technology and Culture 29.1 (January 1988): 32–61. doi:10.2307/3105226. JSTOR 3105226. ^ “How do you know your love is real? Check Facebook”. CNN. 4 April 2008. ^ I Just Text To Say I Love You, Ipsos MORI, September 2005. ^ “Online News: For many home broadband users, the internet is a primary news source” (PDF). Pew Internet Project. 22 March 2006. Archived from the original (PDF) on 21 October 2013. ^ “100 Leading National Advertisers” (PDF). Advertising Age. 23 June 2008. Retrieved 21 June 2009. ^ Codding, George A. Jr. “Jamming and the Protection of Frequency Assignments”. The American Journal of International Law, Vol. 49, No. 3 (July , 1955), Published by: American Society of International Law. pp. 384–88. doi:10.1017/S0002930000170046.JSTOR 2194872. ^ a b c d Wood, James & Science Museum (Great Britain) “History of international broadcasting“. IET 1994, Volume 1, p. 2 of 258 ISBN 0-86341-302-1, 978-0-86341-302-5. Republished by Googlebooks. Accessed 21 July 2009. ^ a b Garfield, Andrew. “The U.S. Counter-propaganda Failure in Iraq“, Fall 2007, The Middle East Quarterly, Volume XIV: Number 4, Accessed 21 July 2009. ^ Wyatt, Edward (10 November 2014). “Obama Asks F.C.C. to Adopt Tough Net Neutrality Rules”. New York Times. Retrieved 15 November 2014. ^ NYT Editorial Board (14 November 2014). “Why the F.C.C. Should Heed President Obama on Internet Regulation”. New York Times. Retrieved 15 November 2014. ^ Computer sales review, guardian.co.uk, 2009. ^ Mobile phone sales data, palminfocenter.com, 2009. ^ PC early history, arstechnica.com, 2005. ^ Michael Hacker, David Burghardt, Linnea Fletcher, Anthony Gordon, William Peruzzi, Richard Prestopnik, Michael Qaíssaunee, Engineering and Technology, p. 433, Cengage Learning, 2015 ISBN 1-305-85577-9. ^ Gartner Says Top Six Vendors Drive Worldwide Mobile Phone Sales to 21% Growth in 2005, Gartner Group, 28 February 2006. ^ Africa Calling Archived 24 June 2006 at the Wayback Machine, Victor and Irene Mbarika, IEEE Spectrum, May 2006. ^ Ten Years of GSM in Australia Archived 20 July 2008 at the Wayback Machine, Australia Telecommunications Association, 2003. ^ Milestones in AT&T History, AT&T Knowledge Ventures, 2006. ^ Optical fibre waveguide Archived 24 May 2006 at the Wayback Machine, Saleem Bhatti, 1995. ^ Fundamentals of DWDM Technology, CISCO Systems, 2006. ^ Report: DWDM No Match for Sonet, Mary Jander, Light Reading, 2006. ^ Stallings, William (2004). Data and Computer Communications (7th edition (intl) ed.). Pearson Prentice Hall. pp. 337–66. ISBN 978-0-13-183311-1. ^ Lazar, Irwin (22 February 2011). “The WAN Road Ahead: Ethernet or Bust?”. Telecom Industry Updates. Retrieved 22 February 2011. ^ How Radio Works, HowStuffWorks.com, 2006. ^ Digital Television in Australia, Digital Television News Australia, 2001. ^ Stallings, William (2004). Data and Computer Communications (7th edition (intl) ed.). Pearson Prentice Hall. ISBN 978-0-13-183311-1. ^ HDV Technology Handbook Archived 23 June 2006 at the Wayback Machine, Sony, 2004. ^ Audio, Digital Video Broadcasting Project, 2003. ^ Status of DAB (US) Archived 21 July 2006 at the Wayback Machine, World DAB Forum, March 2005. ^ Brian Stelter (13 June 2009). “Changeover to Digital TV Off to a Smooth Start”. New York Times. ^ DAB Products Archived 21 June 2006 at the Wayback Machine, World DAB Forum, 2006. ^ Jeff Tyson (2007). “How Internet Infrastructure Works”. Computer.HowStuffWorks.com. ^ World Internet Users and Population Stats, internetworldstats.com, 19 March 2007. ^ OECD Broadband Statistics, Organisation for Economic Co-operation and Development, December 2005. ^ History of the OSI Reference Model, The TCP/IP Guide v3.0, Charles M. Kozierok, 2005. ^ Introduction to IPv6, Microsoft Corporation, February 2006. ^ T. Dierks and C. Allen, The TLS Protocol Version 1.0, RFC 2246, 1999. ^ Multimedia, Crucible (7 May 2011). “VoIP, Voice over Internet Protocol and Internet telephone calls”. ^ Martin, Michael (2000). Understanding the Network (The Networker’s Guide to AppleTalk, IPX, and NetBIOS), SAMS Publishing, ISBN 0-7357-0977-7. ^ Ralph Droms, Resources for DHCP Archived 4 July 2007 at the Wayback Machine, November 2003. ^ Fiber Optic Cable Tutorial, Arc Electronics. Retrieved June 2007. ^ “video animation The Economist” Archived 18 January 2012 at the Wayback Machine. ^ Introduction to the Telecommunications Industry, Internet Engineering Task Force, June 2012. Goggin, Gerard, Global Mobile Media (New York: Routledge, 2011), p. 176. ISBN 978-0-415-46918-0. OECD, Universal Service and Rate Restructuring in Telecommunications, Organisation for Economic Co-operation and Development (OECD) Publishing, 1991. ISBN 92-64-13497-2. Wheen, Andrew. Dot-Dash to Dot.Com: How Modern Telecommunications Evolved from the Telegraph to the Internet (Springer, 2011).